Dean General is the Senior Vice President of Sales & Sales Planning for the Outdoor & Recreation Division of Newell Brands and Leader, Global Customer Development. 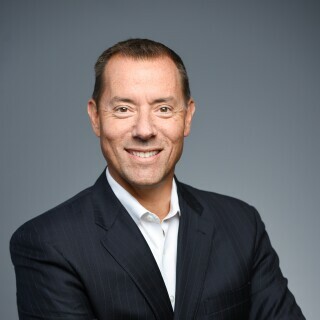 Dean is responsible for leading the commercial execution of brand strategies that deliver accelerated revenue, increased profitability, and reduced waste and complexity with strategic customer partners. Additionally, he provides strategic direction to Newell Brands' customer-facing initiatives on third party agency partners, promotional trade management, industry relations, and category leadership across the company's portfolio of brands. He is a veteran consumer packaged goods executive and has been with Newell Brands for just over 2 years after leadership roles of increased responsibility at General Mills, Nabisco, and Kraft/KraftHeinz. Prior to his responsibilities with the Outdoor & Recreation Division and Newell Brands' Center of Excellence, Dean led Newell Brands’ Walmart Customer Business Team. Dean earned a Bachelor’s Degree in Business Administration from Rider University’s School of Business, and has completed Northwestern University’s Executive Development Program from the Kellogg School of Business.